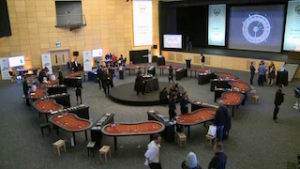 Although roulette is usually played against the house, the tournament format transforms the game into a competition between players. Divided into a number of rounds, players are given a stack of chips, either a time or spin limit, and the goal of accumulating the most chips by the end of the round. Below you will learn all about the roulette tournament from signing up, to how to win at roulette competition in a casino and other fun tips that will allow you to excel at roulette while having fun. 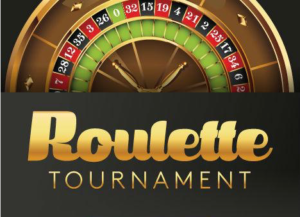 Signing up for a roulette tournament is simple! Much like poker tournaments, events are listed in a tournament lobby ahead of time, allowing you to choose the one that suits your budget. Something to consider, beyond the entry fee, when entering a roulette championship, is the payout structure. While many tournaments use a winner-takes-all format, some events award prizes to the top finishers based on a tiered structure. Although the format of the game is different from standard roulette, the rules are identical with minimum and maximum betting limits also know as table limits. Every year the major casinos in Las Vegas organize roulette tournaments. If you are a regular player you probably will get an automatic invitation plus some free chips. Casinos do this as a thank you token for their patrons who most of the time play roulette for real money but also want to play it while having fun. If you are just starting to play roulette you may have to do some research and see when and where in Las Vegas you can attend a roulette tournament. We highly recommend participating in one as it is a great segue to playing roulette for real money. The first part of this equation is the most important. To win a roulette tournament, you are going to have to get lucky and win a lot of spins. You can’t rely purely on luck, though. 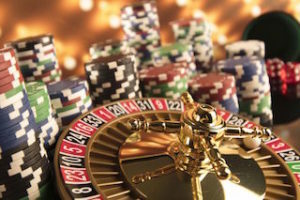 Despite the seemingly random nature of the game roulette played in tournament form introduces many strategic elements that are unique to the format. One way to maximize your chances of winning the tournament is to carefully consider what types of bets to make. Some players try to pull ahead of the pack right from the start by making a handful of large inside bets and hoping one of them delivers a massive 35-1 payout. Others prefer to take a more methodical approach by staying on the outside and trying to grind their way to the top. Ultimately, the type of bets you make should depend on the structure of the tournament you enter. Some tournaments limit you to a certain number of spins before the round ends, forcing more aggressive and riskier betting. Other tournaments give you a specific time limit in which you can play as many or as few spins as you’d like, allowing you the freedom to be a little more conservative in your betting. Since you’re competing against other players to win the most chips, you will have to vary the size and types of your bets at crucial points in the tournament. Because of these dynamically shifting situations, the most important thing to consider when devising a tournament strategy is to always keep track of the other players’ chip count on every spin. Once you have a good idea of how your chips compare to the other players, you can vary the size of your bets depending on how small (or large) your stack is. For example, if you’re in the lead it might be worth taking the conservative route and making small bets while other players try to catch up. If you find yourself trailing in chips, however, you probably want to take the kamikaze route and bet as much as you can — after all, you don’t have much to lose. As you can see signing up for a roulette competition is very easy. Many casinos organize annual roulette championships as a fun even for their regular players but also to introduce roulette game to new players. Winning a roulette tournaments requires strategic planning. The ability to adapt to changing conditions, and outwitting the other players in the tournament is a skill that often leads to a win in a roulette championship. If you thrive on competition and like the idea of introducing skill-based elements to a game of chance, roulette competition just might be the most fun and profitable way to expand your bankroll.